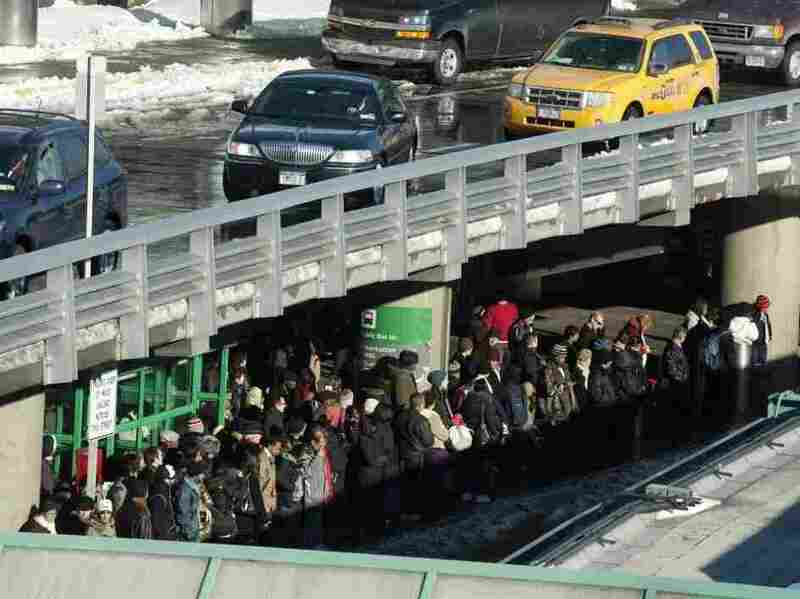 Travelers wait for taxis from New York's LaGuardia Airport on December 28, 2010. How about spending 11 hours on the plane, waiting for a gate to open at New York's Kennedy airport? The New York Times reports because of the backlog of flights stranded during the blizzard, a Cathay Pacific flight was trapped on the tarmac; pilots didn't check ahead for an open gate. Many thought this wasn't supposed to happen anymore, since the FAA imposed a time limit of three hours for planes that need a gate to discharge passengers. Otherwise, they'll be fined. But the penalty only applies to domestic flights, so Cathay Pacific's predicament wouldn't count. Cathay has apologized for schedule disruptions. 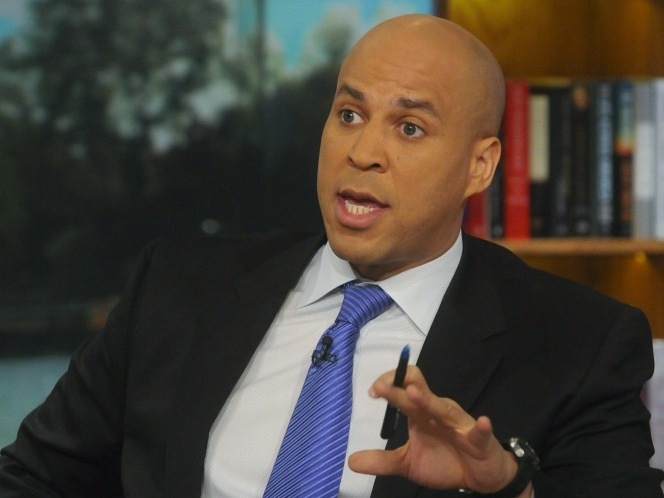 Mayor Cory Booker (D) Newark, NJ, appears on "Meet the Press" on December 19, 2010. 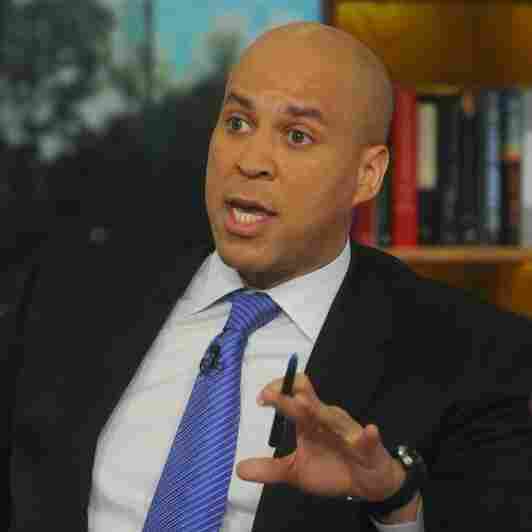 Booker helped Tim Hester's snowbound family, according to the New York Daily News and has been living on diet Coke and Advil while shoveling all over Newark. Mass transit is tough all over, according to the Christian Science Monitor, which is tracking air, train and bus travel. 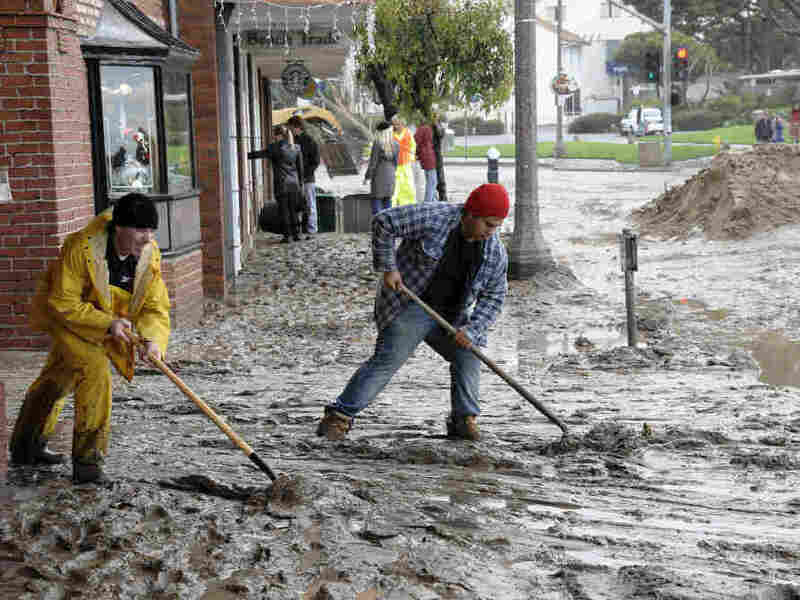 Workers shovel mud out onto Pacific Coast Highway from the Laguna Cinemas in Laguna Beach, Calif.
Gale warnings are posted all down the state's coast. The LA Times warns an arctic storm has plowed in to the coast, pushing wind gusts up to 75 miles per hour. California already suffered millions of dollars in damage last week from record rain, flooding and mudslides. Highway 330 is off limits and may stay that way until spring. He may have a quality in common with a character created by author Judith Viorst's "Alexander, Who's Not (Do you hear me? I mean It!) Going To Move". Gbagbo received three west African presidents yesterday who reminded him he lost Ivory Coast's presidential election and must hand over power to the victor. NPR's Ofeibea Quist-Arcton tells Morning Edition Gbagbo is undeterred and says he'll cut ties with any country that recognizes his rival as Ivory Coast's new president.